​Canadian institutions and government reflect the challenge of our regional diversity. Student need write a reflection paragraph on the hopes and concerns for the next years with the elected government. • Below you will find a detailed description of the criteria for this assignment. 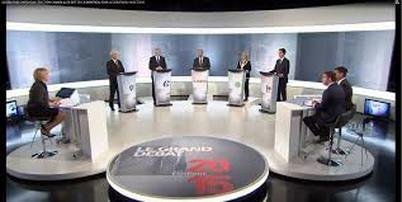 Students have been assigned each a role for the leaders debate. Students will have an opportunity to practice in class. However, it is highly recommended that they also practice at home. Click on the picture to watch the leaders debate in FRENCH! 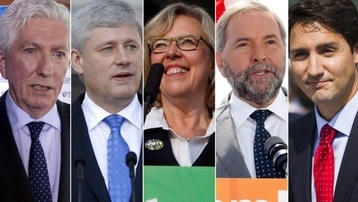 ​On October 17, students will taking part in the federal election and voting. Here are a couple of videos in English and French about what we have been learning so far in class.